This example shows how to solve the heat equation with a source term. This equation is solved on a square domain with a discontinuous initial condition and zero temperatures on the boundaries. Create a transient thermal model. 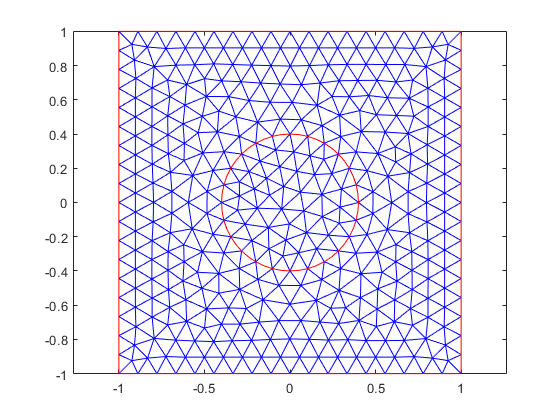 Create a square geometry centered at x = 0 and y = 0 with sides of length 2. Include a circle of radius 0.4 concentric with the square. Append the geometry to the model. Specify thermal properties of the material. Set zero temperatures on all four outer edges of the square. The discontinuous initial value is 1 inside the circle and zero outside. Specify zero initial temperature everywhere. 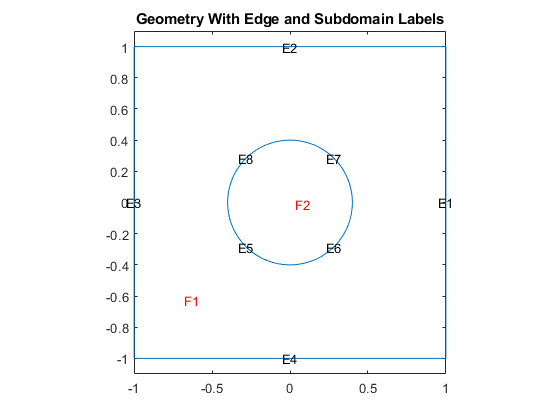 Specify non-zero initial temperature inside the circle (Face 2). 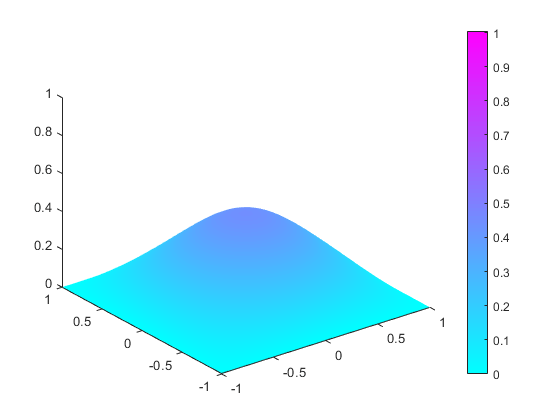 Generate and plot a mesh. Find the solution at 20 points in time between 0 and 0.1. To play the animation, use the movie(Mv,1) command.